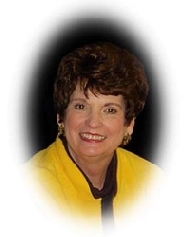 Frances Pearl Levisee obituary. Carnes Funeral Home. Jun 17, 2012 The Carnes Funeral Home Staff offers our sincerest condolences to the entire Levisee family. It was our honor to serve your family. Our sweet wife, mother, Nonna, sister, niece, cousin and friend has left us to join her mom and dad, Anna Mary “Annie” and Walter E. “Slim” Summerville, and a host of other family and friends who, we are certain, welcomed her into their presence. While she has physically left us, she will always be emotionally present to her husband, Ben Levisee, and her children, Angela (Stanfield) & Eric Wells, and Alan & Beth Stanfield, and certainly to the grandchildren she so dearly loved, Tucker & Spencer Wells, and Blake, Bailey and her unborn granddaughter Bella “Frances” Stanfield. Her stepdaughter and husband, Sherry & Terry Eaton, sister, Patti Summerville, and her brother and his wife, Tom and Alice Summerville along with their children, Eddie & Amber Corcoran, and Renee & Chris Myers mourn her passing but celebrate her life. As she departed our world, we know she embraced her unborn granddaughter and great niece who are both expected to enter our lives shortly. Frances was blessed in her life to grow up surrounded by family. Her maternal grandparents, Vincent and Frances Taormina, and her 6 aunts and uncles gave her a security few others will ever know. And, they gave her 15 cousins, each of whom she loved and cherished. She is survived by her Aunt Lily Mae & Uncle Charlie Taormina, Aunt Pauline Summerville, Aunt Rose O’Rourke and Aunt Margaret Tramonte. And, her father’s family, though smaller, provided another 3 aunts and uncles as well as 4 cousins, whom she loved as well. Frances was born in Galveston and lived there her first five years before she, her newborn sister, and her parents moved to LaMarque in 1949. Two years later, her brother was born and the three of them have celebrated their birthdays (March 8th for her sister and brother and March 11th for her) together every year since. Frances and her former husband, Roger Stanfield, raised their children, Angela and Alan, in both La Marque and Texas City. Later, both Frances & Ben and Roger & Irma Stanfield continued parenting and grandparenting as a team, with more than enough love and attention to last many lifetimes. Frances remained in the community she loved and served all of her life. From the Chamber of Commerce to the Rotary Club, The Independence Village (formerly HRA), United Way, LMISD Education Foundation, Jr. Achievement, American Heart Association, Mainland Medical Center, College of the Mainland, League of Women Voters and Hospice of Galveston County, she was front and center, ready to share her time, treasure and talents. She was the one people turned to when there was something that absolutely had to be done and done right. While she never hit a golf ball, she was the force behind more charitable golf tournaments than anyone else in the area, raising tens of thousands of dollars for causes close to her heart. She retired from Carbide Employees Federal Credit Union after 26 years of service in 1999 as the Executive Vice President, a job she loved. And she felt fortunate to work “after retirement” with Texas First Bank, returning to her marketing roots. She deeply admired Chuck Doyle and felt an extraordinary loyalty to him and his sons, Chris and Matt, as well as her dear friend, Kitty Potter, President of Texas First Bank, Texas City. One of the last projects she worked on was perhaps the one she enjoyed most throughout her career. She personally visited every elementary school in Galveston County, delivering the message of Don’t Laugh at Me, a book about inclusion and acceptance of differences. Frances and her family were deeply touched by the outpouring of love and support she received since her diagnosis with ovarian cancer in March of 2010. The cards, letters, flowers, gifts, and prayers sustained her as she fought the battle of her life. On Frances’ behalf, we would like to especially thank Dr. Dhatri Kodali of Texas Oncology, who treated not just Frances, but our entire family with compassion and great kindness; the incredible nurses and staff at Mainland Medical Center who gently cared for her and supported all of us during the times we needed them most; Dr. Robert Miller, Pastor, and the members of First Baptist Church in Texas City for surrounding her with constant prayer; and Father Tom Ponzini, who gave her great comfort in her final days. Pallbearers are Terry Eaton, Mike Orr, Jerry Deering, Chuck Doyle, Joe Vickery, and Trent Parker. Honorary Pallbearers are Frances’ cousins VJ Tramonte, Sonny Taormina, Gary Summerville, Benny Holland, Tra Tramonte, and Les Summerville Jr. and her grandsons, Tucker & Spencer Wells, and Blake Stanfield. Visitation will be Thursday, February 24th from 5:00-7:00pm at Carnes Funeral Home, 3100 Gulf Freeway, Texas City followed by a service celebrating her life at 7:00pm. A memorial mass will be held at Sacred Heart Catholic Church in Galveston on Friday, February 25th at 10:00am with interment to follow at Galveston Memorial Park Cemetery on FM519/Main Street in LaMarque. There will be a reception at First Baptist Church of Texas City, 1400 9th Avenue North, Texas City immediately following the burial.